For the past three years, The Philippine Rallycross Series (PRS) has been reviving dirt track racing. Starting with just a field of just 10 participants, the PRS has grown to 60 participants during the latest ground. Each of the rounds have been held at the Pradera Verde, a luxury golf and country club with amenities for aquatic sports and motorsports. Olson Camacho, President or PRS reveals that Pradera Verde has set aside a 24-hectare area exclusively for motorsports. The PRS uses a dirt track that’s 2.4 kilometers long with fast, sweeping orders and a unique ‘over-under route,’ similar to European rallycross racing. The track, as well as the series is officially sanctioned by the Automobile Association of the Philippines (AAP). “What these guys are doing is great for both the local government, the local motorsports community and the image of the country as a thriving venue for motorsports. The organizers of the PRS is on the right path,” says Jose Armando “Mandy” Eduque, Chairman of the Motorsports Committee, AAP and Motorsports Hall of Famer. Participating in PH Rallycross events does not require racing experience. “Rally racing is a good motorsport foundation. You’ll learn a lot by racing on lose traction. On the other hand, you’ll definitely enjoy this fun motorsport activity. Also, our track is suitable for rally racing newbie,” says Camacho. Vehicles of various types and class are accepted to join the race. Organizing committee is only requiring the mandatory safety equipment such as helmet and seatbelts. With an entry fee of just P 1,500 per category, the PRS is one of the most affordable motorsports events in the country. 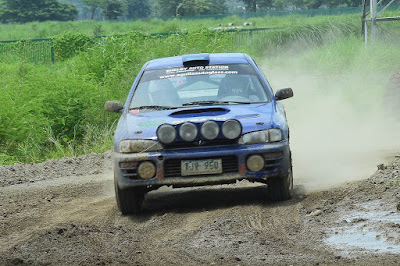 The last remaining legs of the PH Rallycross series will be held this month up to December. Has the Ford Ranger Lost Its Mojo?